The Virtual Villages Business Network is a community of small and medium sized businesses in the South East, predominately in Surrey and South London. They support each other and provide business opportunities throughout their business network. All the websites have been created by Villages Web Design. They provide a huge variety of skills and expertise in many professions and markets. Virtual Villages are proud to have a number of Surveyors as clients, these include Love Jenkins, a Chartered Surveyors in Epsom who offer a wide range of services. A chartered surveyor in the Guildford area, CTA Group, based in East Horsley, who also provide aerial surveys in Surrey. Another quality chartered surveyors in Surrey are Leatherhead based Chawton Hill Surveyors, covering Surrey, London and the South East. Sterling QS is owned by Augustine, a Quantity Surveyor in Sutton, Surrey. If you are looking for a mortgage broker in Cheam or Ewell in Surrey then Paul Morris of PS Morris Financial is worth a call. He is based in the offices of Cavendish Estate Agents in Cheam Village, Surrey. He also works on behalf of Mark Anthony Estate Agents, a dynamic new estate agents in Ewell Village and covering Epsom. Villages Web Design have also designed websites for Surrey estate agents Hills and Downham with East Horsley offices, as well as London based Generations Estate Agents who provide estate agency sales and lettings in Norbury SW16. Coast and Downland Homefinders are personal property finders for clients in Surrey, Sussex and Hampshire. Cavendish estate agents in Cheam are yet another agency in the network. If you are looking for a removal company in Croydon, Sutton or Wallington then Steve Frieze Removals are a well established and professional company with an excellent reputation for service and reliability. Another removal company covering Sutton, Epsom, Twickenham and Redhill is Access Removals, again highly recommended. HCC, House and Commercial Clearances offer house clearance services for residential and commercial clients, as well as probate valuations and clearances. We have designed websites for smaller man and van companies, such as DS Removal who offer a man and van removals service in Croydon and surrounding areas. They also provide Rubbish Clearance in Beckenham and nearby towns and villages. The Virtual Villages Network also has a large number of skilled professionals in the property sector, offering a broad range of trade services. A new addition to our network is The Concrete Design Team, offering polished concrete floors, they also provide stamped, or designed and imprinted concrete driveways and patios in Surrey. JT Barnes offer domestic and commercial electrical services in London and the South East. If you require a new fireplace in Surrey then Grate Look offer fireplaces and accessories from their showroom in Cheam Village. For mirrors and picture framing in Surrey The Framery, are also based Cheam Village. We also have an excellent source of carpentry and woodwork experts in L and S Woodcraft who are carpenters and build animal housing in Guildford. There is also Ben Saunders, a carpentry and joinery expert in Coulsdon, Caterham and Surrey. A bit further out we have another carpenter in East Grinstead and Tunbridge Wells, St Johns Carpentry and Joinery, covering Sussex, Kent and South Surrey. For expert and commercial joiners in Croydon and South London call Mardec Joinery. 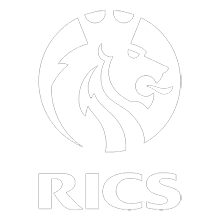 Arc Property Solutions offer exterior property renovation in Sutton, Wallington, Croydon, Epsom, they also build fitted wardrobes and units. Paintwise Decorators is a residential painting and decorating company in Surrey, highly recommended. Peter Burton & Co are commercial decorators in Croydon covering London and South East. Express Handyman offer building and repair services as a handyman in Carshalton, Surrey and South London. Brighton Soundproofing offer soundproofing in Brighton and Sussex. Shield Window Film Company offer a comprehensive window film solution in the UK for all your needs. Specialist Welding Services offer bespoke welding and metalwork in London, Surrey and South East. DLS Gas Installations provide gas installations and plumbing in Surrey and South London. JBT are Heating and Plumbing Engineers covering Surrey and South London. We have another great plumber and gas heating engineer in Surrey, RMV Heating and Plumbing. Parkers Cleaning Contractors are commercial cleaning and window contractors in London and South East. Need a floor sander in London or Surrey, then Last Man Sanding are worth a look! We also have another wood flooring contractor now, welcome Magic Wood Floor, offering wood floor services in South West London and Bromley, including commercial, sanding and installation. Building Companies, Extensions and Lofts. 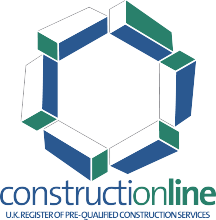 Collinstown Construction are commercial and residential building contractors in London and South East, they are longstanding clients with an excellent reputation. MasterCraft Building Services is a high quality executive builders covering Surrey and the South of England. Elite Loft Extensions are loft conversion and extension experts in Surrey and South London. If your property needs pointing or repointing in Surrey choose S Hall Pointing for all your brickwork needs. Prince Builders provide building solutions, primarily extensions in Berkshire, Hampshire and Surrey. If you need scaffolding in Surrey or South London choose 2 Brothers Scaffolding. AVA Property Group are a building and maintenance services company in South London and Surrey. Complete Site Services are new to Virtual Villages, they are residential and commercial builders with a wealth of highly experienced management and staff. All Roofing UK are the newest roofing company to join our stable. RDS Roofing provide roofing services in Surrey. Virtual Villages are also pleased to have Express Flat Roofing providing flat roof repairs in Surrey and South London, including maintenance and renewal. As well as DH Roofing Services, award winning roofers who provide expert roofing solutions for pitched and flat roofs in Surrey. Pro Guttering Services offer a range of services for guttering, facias and soffits in Surrey. CJS Roofing are our latest roofers in Surrey. CJS Drainage provide drainage maintenance and repairs in Surrey, South London. AKJ Waste and Recycling Services offer rubbish clearance and collection in Surrey and South East. Metro Recycling offer recycling and rubbish collection services in London and Surrey. DS Rubbish Clearance provide a full domestic rubbish clearance service in the Beckenham area. Shield Window Film Company Offer a comprehensive window film solutions in the UK. As do Solarzone who provide their own energy saving window film. Homeserve Security offer burglary door and window repairs in London and the South East. The Surrey Glazing Shop provides glass repairs, doors and window repairs in Surrey. They also have Leatherhead glaziers, Epsom glaziers, and Reigate glaziers. The London Glazing Shop provides glass repairs, doors and window repairs in London and the Essex Glazing Shop provides glass repairs, doors and window repairs in Essex. Cheam Glass are emergency glaziers offering double glazing repairs in Cheam, Sutton, Surrey. All Glazing UK offer emergency glazing and double glazing repairs in London Surrey. The Virtual Villages Network has a number of locksmiths, both auto locksmiths and residential. Beeches Locks are auto locksmiths covering the Surrey area, as are AES Auto Locksmiths in Surrey. Another member that provides auto-locksmith services in Middlesex is Star Auto Locksmith. Our residential and commercial locksmiths include Top Locksmith, RA Wells a local locksmith offering locksmith services in Harrow, Northolt and surrounding areas. UK Property Locks offer locksmith services in Surrey and South London. They also have mobile locksmiths covering Redhill and Reigate, Croydon, Epsom and Sutton. The VV Network is very proud of the landscape gardeners and garden designers they have in their business network. Joanne Winn Garden Design, offers award winning garden design and landscaping in Surrey. Likewise Gill Brewis Garden Design is another accomplished landscaper and garden designer in Leatherhead, Ashtead and Surrounding Areas. Cre8 Landscapes are landscapers and gardeners in Surrey, offering a more practical approach. Last, but not least, A Brighter Shade of Green is a landscape gardener and wood specialist such as decking and bespoke furniture covering Purley, Coulsdon, Surrey and London. Ewhurst Primulas have a great website that allows you to buy primulas online. Stephen Akinsanya .com is a biographical site for a London Barrister in the UK and the Caicos Islands. He is also the owner of Bethel Barristers Direct, direct public access barristers in London covering Surrey and the South East. The Contemporary Wills Company, offer will writing services and lasting probate in Surrey. Hepworth Heritage offer savings and investment seminars in the South of England. McDonagh and Co are chartered accountants for small and large businesses in Walton, Surrey. We have another accountant in Surrey specialising in international tax affairs, Ashton Allsop. Destrier Markets offer high-end financial, technology and retail services and consultancies in sales and marketing. Abalone Virtual Business Solutions provide a virtual business assistant in the UK. If you are looking for a recruitment agency then Surrey Recruitment offer premier recruitment services in accountancy, HR and finance in Surrey. Ingenio Recruitment and The Recruitment Network are also Surrey based recruitment agencies. People Change Expertise is Melanie Steel, an Interim HR Consultant in London. Save Pay offer a money saving consultancy for retailers using card processing. Our clients specialising in education include Sutton and District Training who organise flexible courses and qualifications for adults and young people in Sutton and Croydon. They have a partner company, Road to Success who supply educational training courses for 14-16 year olds in the South East. SDT Skills Academy offer skills and trade training for adults. We have the very young covered too. Education 2 You provide training and resources for educational assistance to parents of smaller children as well as home tutoring for primary school children in Surrey. Little Stepping Stones is a day nursery in Wandsworth, South West London. Fountain Care and Loving Care have a number of care homes for autistic adults in Surrey. Sutton Osteopath, Claire Craven provides osteopath services in Sutton, Cheam and Wallington. If you’re in need of Physiotherapy in Wimbledon then the West Wimbledon Physio provide physiotherapy and alternative remedies. Unity Body MOT offer sporting therapies, massage and corporate wellbeing in Surrey, London and the South East. BODY MOT has a wealth of online material and resources for physiotherapists and osteopaths. We have Sutton based mobile teeth whitening with Smile White! Offering more than an apple a day is Susan Church Nutrition, a nutrition expert providing consultancy and advice in the UK. Philia Birth offer doula and maternity support in Surrey. Stay beautiful with two of our fantastic beauty salons. Sleeping Beauty Salon is a modern and welcoming beauty salon in Kingswood, Surrey. Valley Hair and Beauty is a hair and beauty salon in Chingford, Essex. JDV Pharma are Worldwide pharmaceutical engineers and distributers. The Saregama Indian restaurant in Carshalton Beeches, Surrey does a great curry, and if that’s too far for you then we have another curry house in Stonecot Hill, Sutton, The Empress of India. If you are looking for a traditional pub in Carshalton then the Windsor Castle Pub offers great food, drink and live music in Carshalton, Surrey. Coffeezone is a very good family run coffee shop in Cheam Village. Riverside Cottage is a beautiful holiday cottage in Wye Valley, Wales, UK. And we have two others in Europe. Apartment Morzine is an apartment to rent in Morzine, the French Alps, Apartment La Quinta is a holiday apartment in the South of Spain. An unusual travel company is Persian Voyages, providing tours and holidays in Iran and Uzbekistan. Golf Balls 4 You, where you can buy Sell second hand golf balls online in packs of 12 – 100 at excellent prices in the UK. If you have too many then with Money 4 Golf Balls you can sell second hand golf balls in the UK. We are proud to be associated with Sutton Tennis and Squash Club, a thriving members tennis and squash club in Sutton, Surrey. Davidhopkinssongwriter.com is the website for a prolific songwriter in the UK. 8th Cheam Scout Group is a scout group of beavers, cubs, scouts and explorers in Cheam, Surrey. People Arise Now are a charity who assist ex-offenders in the South East. Kaido Charity are an African supply charity with representatives in London, USA and Africa. Sutton and South London Business Club, business networking in Sutton, Surrey and London. A new addition is Status Online, a relationship charity. Munro’s of Tain, a genealogy website for the Munro Family of Tain – Worldwide. Anne and Lee Wedding Site is a site dedicated to their marriage with useful information and messages. Janet McDonagh advertises her media art in Surrey. Kingston History Research is owned by David Kennedy. Animal Botanical, offers pet sitting and garden watering services in Wallington. We of course have our own websites. Villages Web Design offer website design Surrey. Virtual Villages is the local business directory for VWD clients. We also have Website Design Surrey, a soon-to-be showcase site. Bonsai Cloud Solutions provide computer back up and disaster recovery services in London and South East. AV Aerial Filming provides aerial video and photography in Surrey and the South of England. Chatrbell have just launched a new doorbell app. Event Manager London is a website for a freelance event manager in London, UK. Event Live Media publish realtime publications for the exhibition industry in London, UK, and International clients. Roots Creative Floristry provide floristry services for all types of event and business contract customers in Surrey. The Precision Medicine Forum runs a series of precision medicine conferences. Black Velvet Catering offer fantastic event catering in Surrey and London. Jumpalot Bouncy Castle Hire provide a plethora of entertainment for children’s parties. Clarkes Jewellers provide watch and jewellery repairs, and antique jewellery in Sutton, Surrey. Ranger offer army surplus, military supplies, air guns and bushcraft in Surrey. Wrap up in Style sell Kashmiri shawls and wraps with a gallery and details for purchasing. Sell your car for cash in Surrey with Money 4 Motors. MasterTechs provide MOT, servicing and coach-works services in Surrey to Audi Volkswagen customers. MOT in Sutton? Then Sutton Car Care offer great services! Motors2Money, convert your old car into cash!